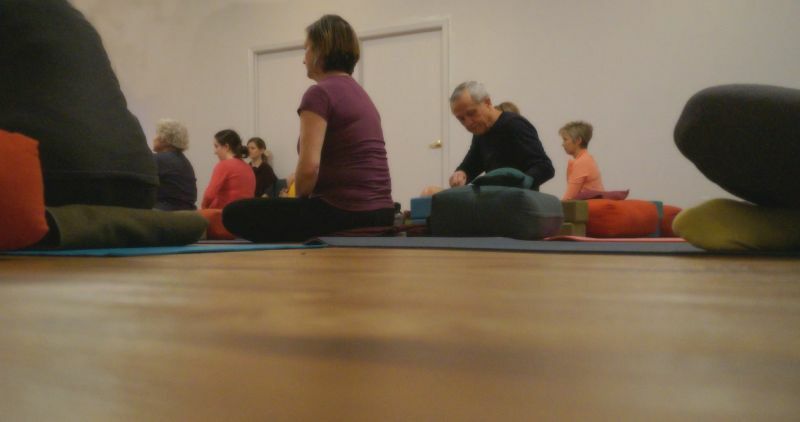 At Sound Method, Yin Yoga is popular. We try to offer it everyday in fact. People who love Yin, really love Yin. There are many benefits over the long term; greater flexibility, healthier joints, a deeper understanding of your body maybe resulting in better proprioception. That last one is especially important as we age by the way. You will reap greater and greater rewards over the course of weeks and years doing a Yin practice. But what about today, like, right now? Yep, though Yin Yoga is about patience and abiding, its effects can be felt right away. Here are just 3 reasons why you should get to class today. Or your hip or neck or that one place that you have that nags and aggrieves you daily. No it’s not a miracle, and it’s not permanent. However, if your pain is caused by muscle tension or spasm, the long mild duration of Yin poses is like a balm on those sore places. It’s not magic, it’s science. Without getting too complicated I’ll say that the structures in your myofascial complex that hold on and tell your muscles to tighten over and over (in the case of spasm) are pretty tenacious. That vicious cycle is a very special kind of hell, and then the pain and tightness spreads… That’s because the tissues that surround the spasming or tight area can become starved for nutrients, since the circulation may be compromised due to the tightness. The good news is that the structure that tells the muscle to let go or chill out is gently (gently) coaxed during a Yin pose. The specialized structures in the complex that signal a letting go reaction will have to fight for supremacy in any yoga pose. The reason Yin is the bomb? The letting go structures are like the long distance runner, not quick but they will hold on for longer. A Yin pose, when held with mild intensity over a duration of a few minutes may give the letting go structures a chance to win. Nourishment in the form of better circulation can return to the area, or at least some of it. The cycle of tightness can begin it’s reversal, finally. This feels like sweet relief. At least that’s what countless post yin noodle people tell us after class. Sometimes poses can feel pretty intense but most of the time, it feels so. Damn. Good. Lovely stretches, the instructors melodious voice, soothing music and the calm and gentle presence of your fellow classmates all culminate in a nice clean buzz. Even novice students stagger from the studio so blissed out that we wonder if we should take their car keys. All of this is accomplished through mindful stillness, so good. 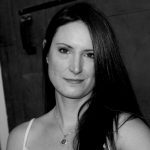 Mandy Ryle has been teaching Yin since 2009. An avid reader and studier, she has developed a style that nods to tradition but prioritizes science. Her classes are popular due to her understanding of the body in posters as well as her storytelling.